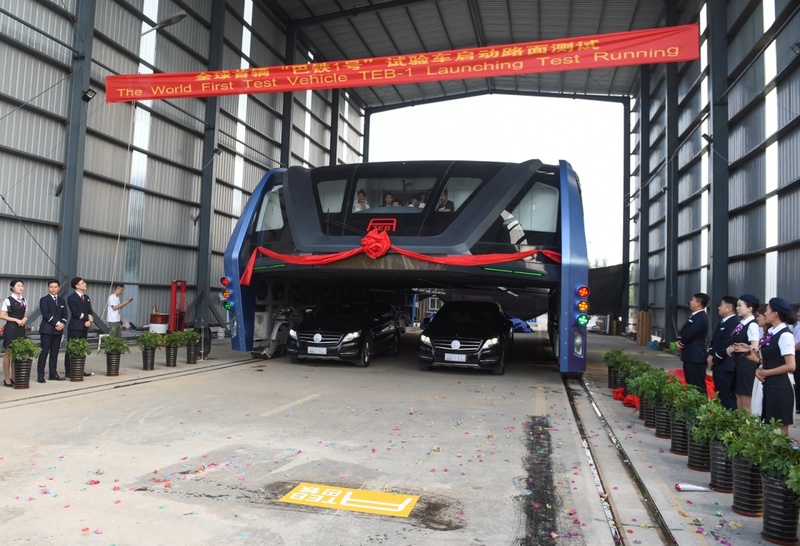 Last year, the world was intrigued by China’s Transit Elevated Bus concept. This year, the whole concept has come to a complete halt. Chinese authorities are now investigating the organisation following the suspicion that the entire idea was a scam. Beijing police had declared yesterday that they had initiated an inquiry for alleged illegal fundraising. At the moment, 32 people within the Transit Elevated Bus organisation have been arrested by Police officials regarding potential investment fraud. Chinese police are currently in the process of working to repossess finance from the organisation which raised an estimated $1.3 billion as far as October 2016 – keeping in mind that the concept had only been debuted in the country in August last year. Reports suggest that 72 investors have taken legal action against the organisation. By the end of last year, doubts had already been up and running after industrial paint company Autek was owed millions in return for doing its bit on the bus. On top of this, the project’s test track had been left unused months after the permit due date of August 31st, the deadline after which the Transit Elevated Bus company was ought to have left. Qinghuangdao’s government concluded last week that the test bus was to be transferred to a local parking garage and that the test tracks were to be demolished. The revolutionary idea of an elevated bus darting through busy cities has come to an unfortunate end – but as always, nobody knows what the future of technology holds.